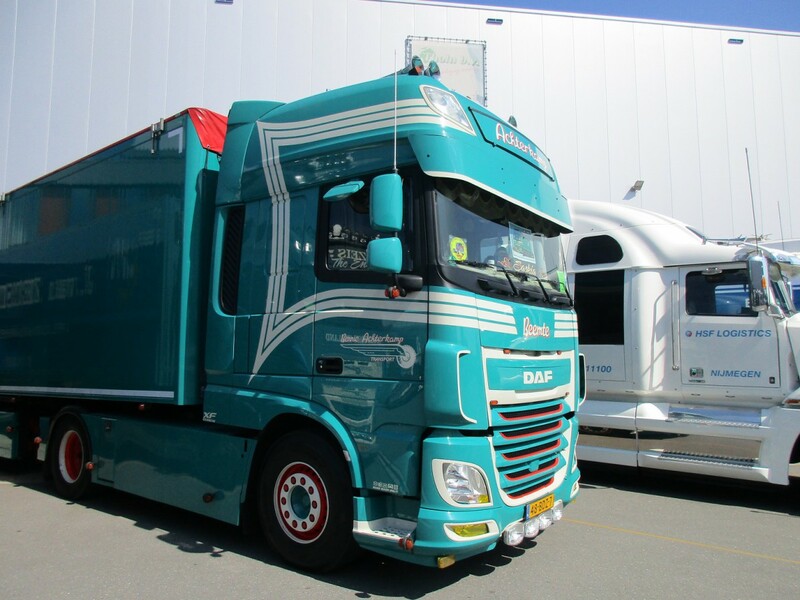 Many tractor & semi-trailer and truck & trailer combinations were also present at the WSI XXL Model and Truck Show. 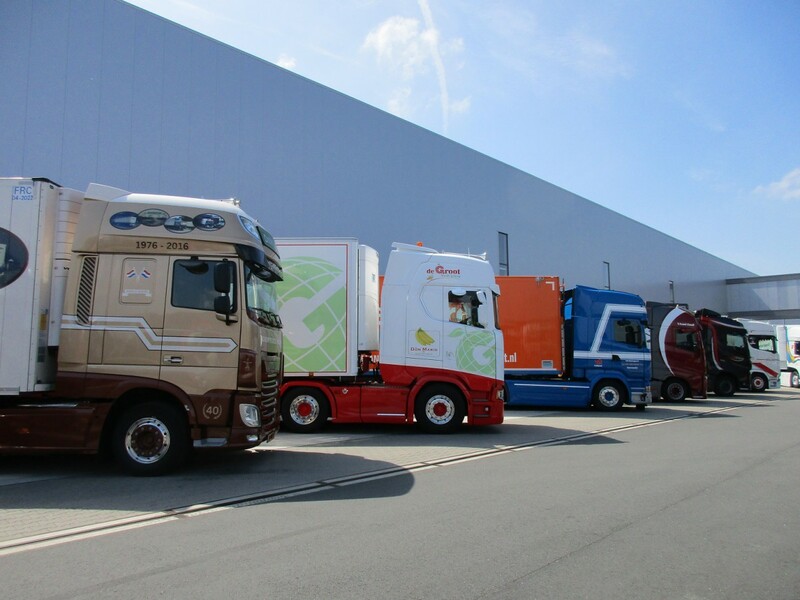 Modern big rigs in all their glory, neatly lined up. Here’s a flatbed semi-trailer with sliding tarpaulins, towed by a 2017 Scania S580. 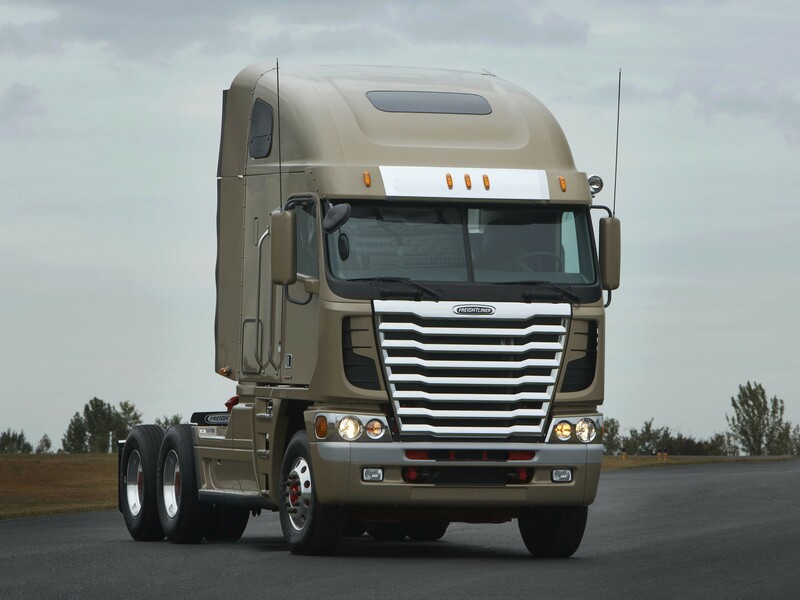 This Scania series was introduced last summer, and the hammering 16.4 liter V8 is still Scania’s top engine. 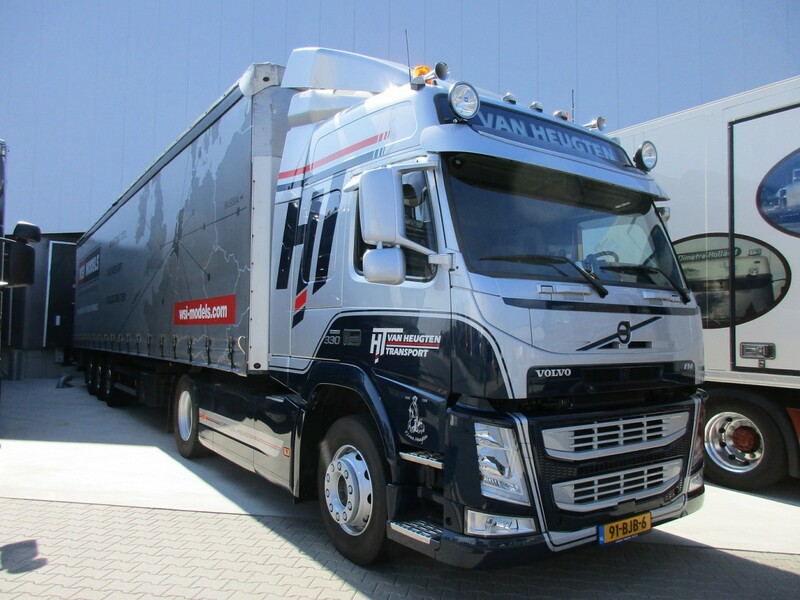 Same type of semi-trailer, the tractor is a new Volvo FM with a 10.8 liter engine. The FM is Volvo’s mid-size model. 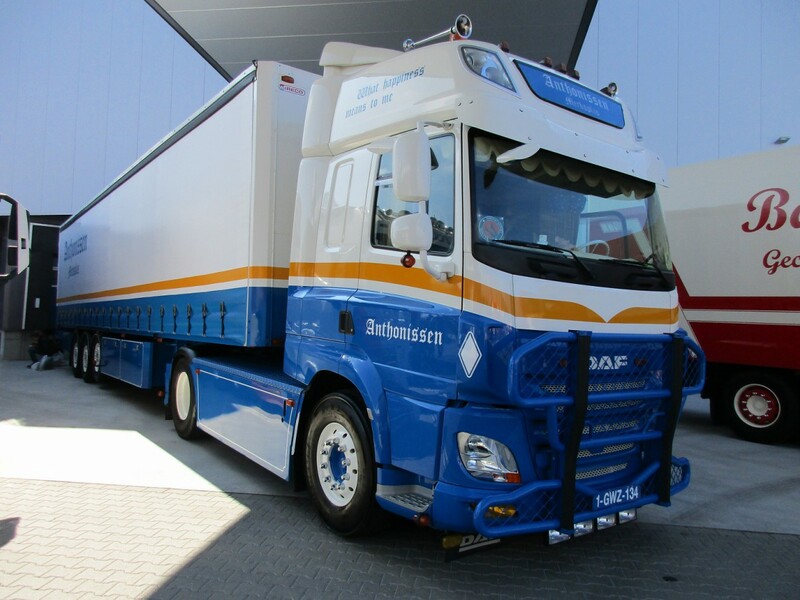 2014 DAF XF460 with a walking floor semi-trailer. 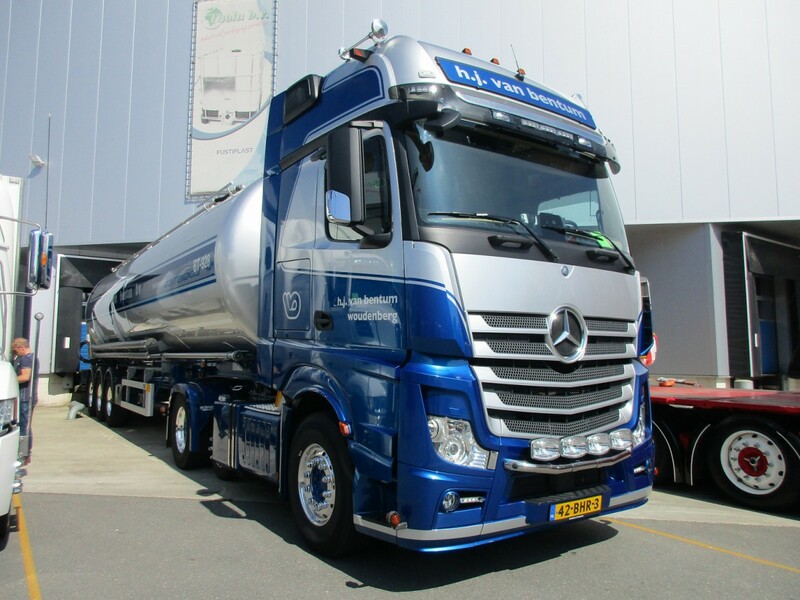 2016 Mercedes-Benz Actros bulk hauler with the outstanding Van Bentum blue & silver color scheme. 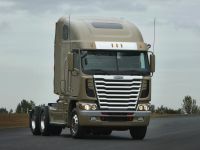 Daimler Trucks is the world’s largest manufacturer of mid-size and heavy trucks, the company offers the brands Mercedes-Benz (Unimog included), Freightliner, Western Star, Mitsubishi Fuso and BharatBenz. 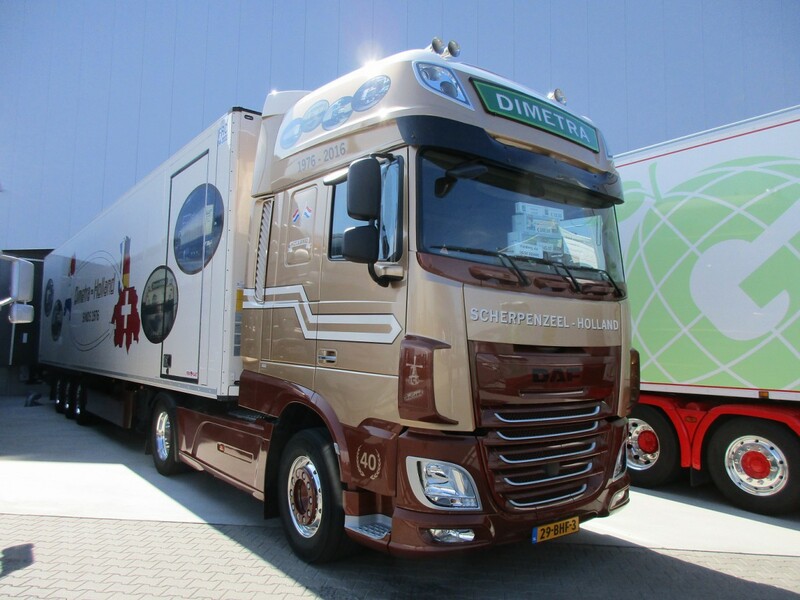 2016 DAF XF 440 with the MX-11 engine (10.8 liter displacement), towing a reefer. 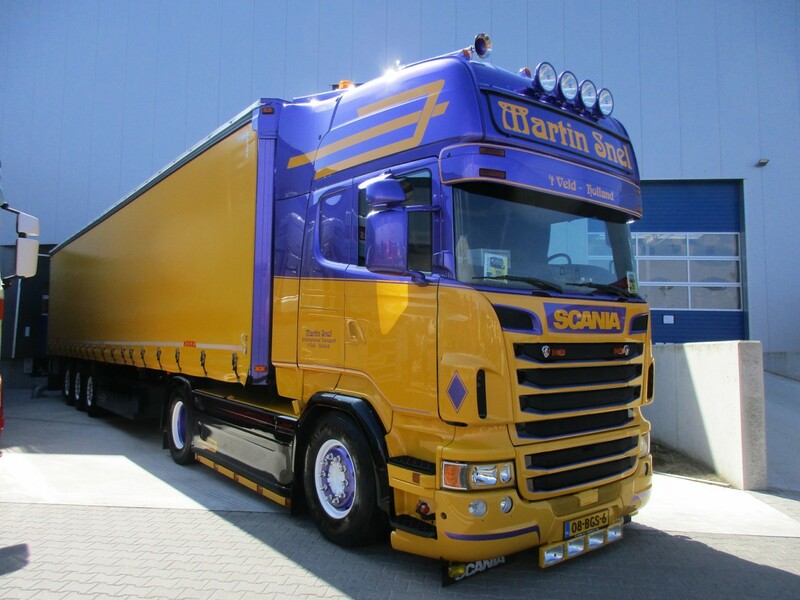 Another reefer, the tractor is a new Scania S520. 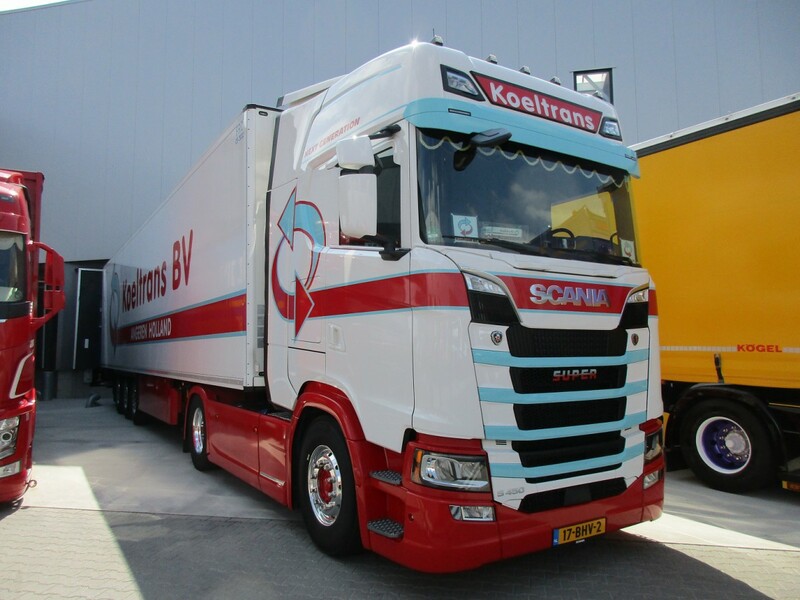 2017 Scania R450 (12.7 liter inline-6) towing a walking floor semi-trailer, built by Knapen. Pig hauler, 2015 Volvo FH. 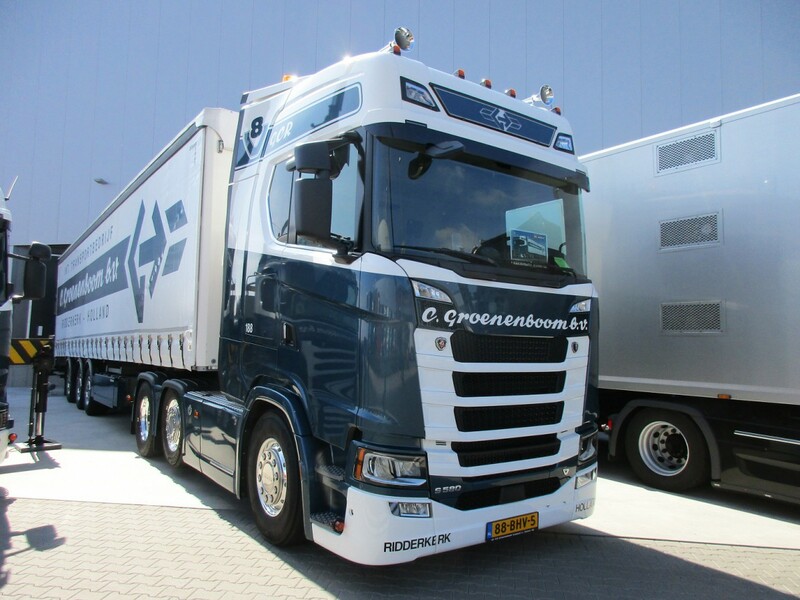 2015 Scania R520 with a Broshuis 2CONnect double semi-trailer. It can haul a single 20 ft, 40 ft or 45 ft shipping container or two 20 ft shipping containers. 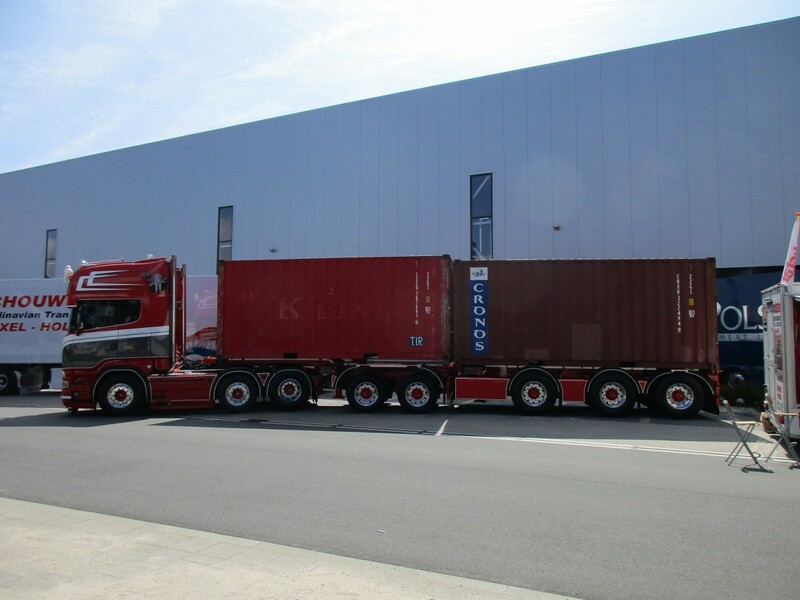 This rig has five steering axles, the semi-trailers can also be used separately. Confused? This video shows how it works. From Belgium, a DAF CF 460 and flatbed semi-trailer with sliding tarpaulins. 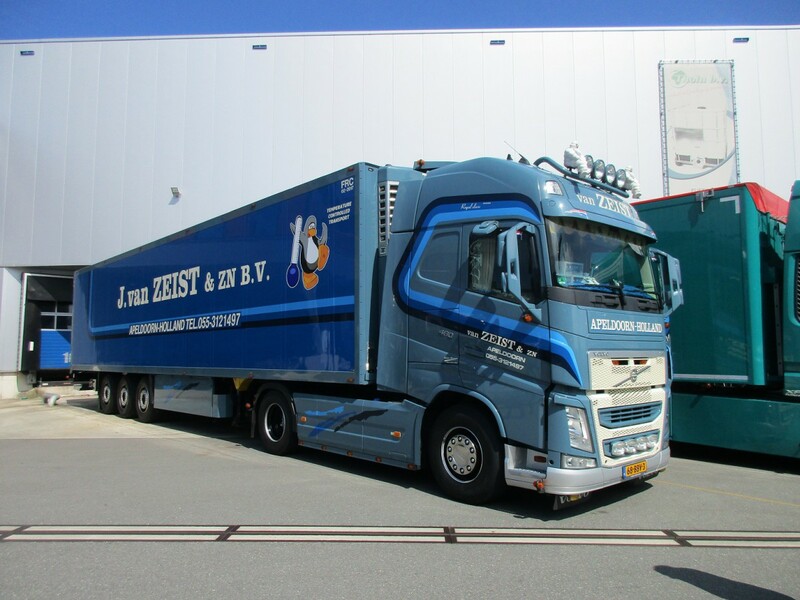 A typical combination for hauling voluminous goods, this 2016 Volvo FH and Van Eck mid-axle trailer. As you can see the trailer has cargo doors at the front side too. 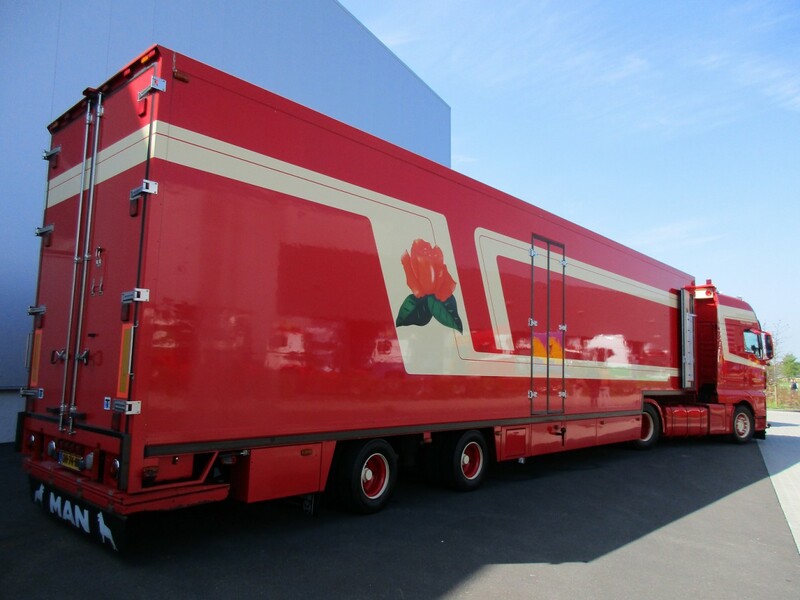 This whole rig can be (un)loaded from the trailer’s rear side. 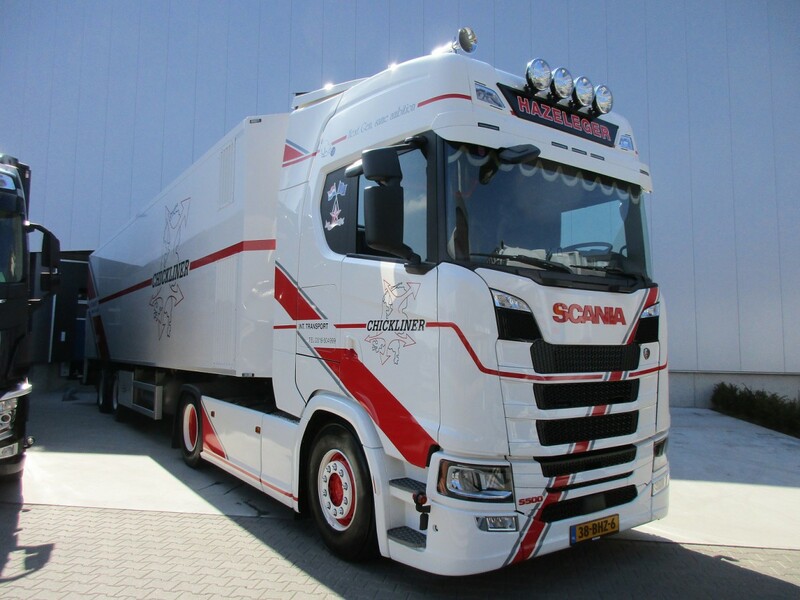 2016 Scania R450 with a perfectly matching semi-trailer, as if they were made for each other. In most EU-countries the national weight limit for such a rig is 44,000 kg (97,000 lbs). 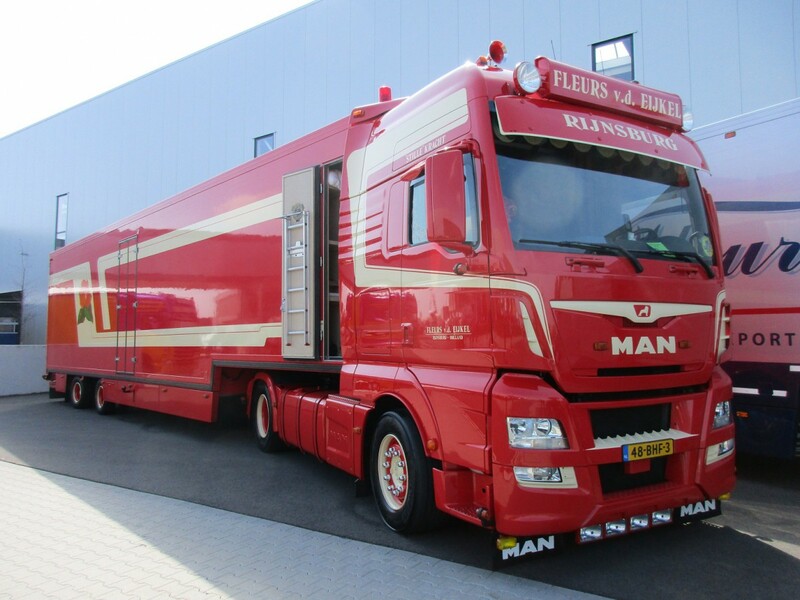 2016 MAN TGX tractor and Floor semi-trailer for hauling flowers. 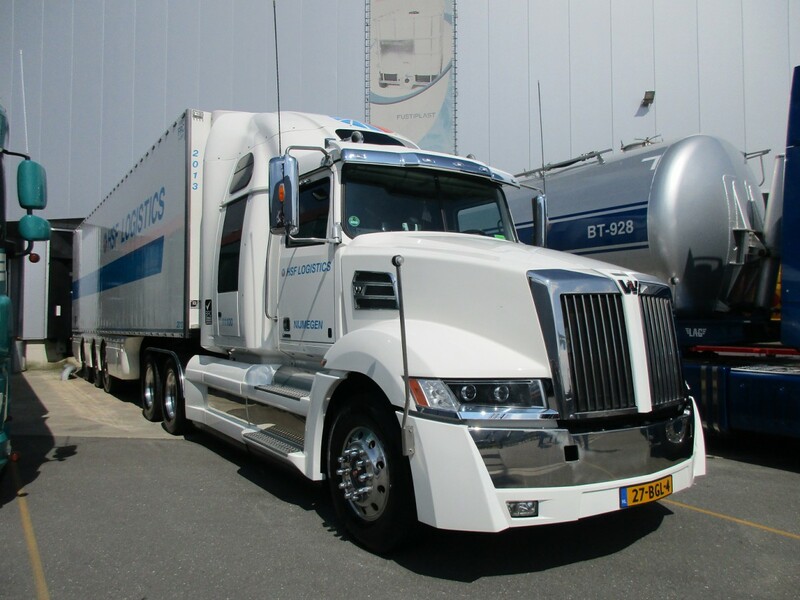 The second axle of the semi-trailer is steerable, the tractor is powered by a 15.3 liter inline-6 engine. 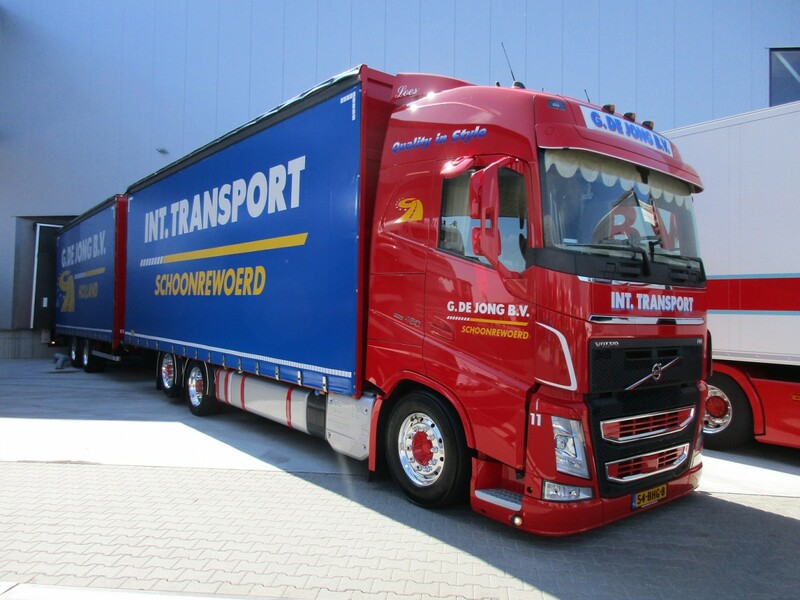 A reefer doesn’t have to be white, this one is towed by a 2013 Volvo FH. How about that, a 2015 Western Star 5700XE. 2012 DAF XF105 and 2012 WEB mid-axle trailer with swap bodies. 2012 DAF XF105 Low Deck tractor and 2009 Kögel semi-trailer. 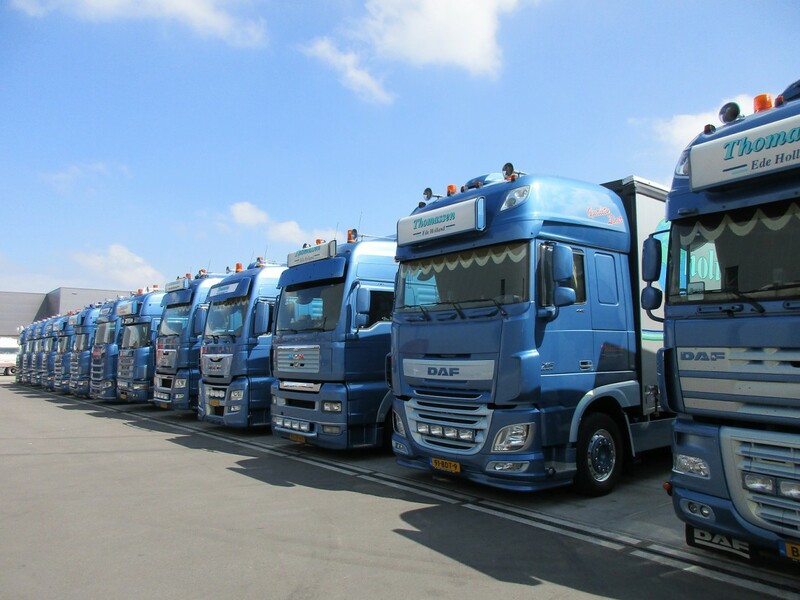 From left to right a row of Scanias, three MANs and two DAFs, parked at their home base. 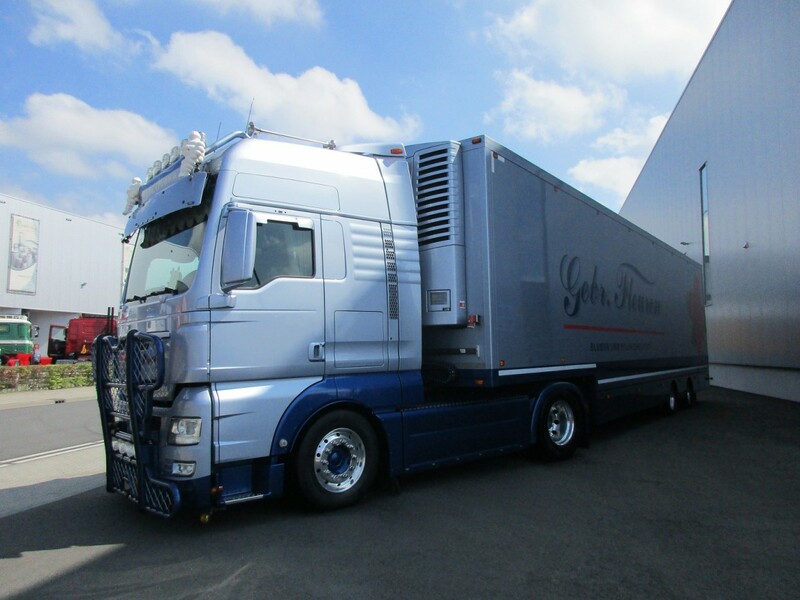 2016 Scania S450 with a reefer. 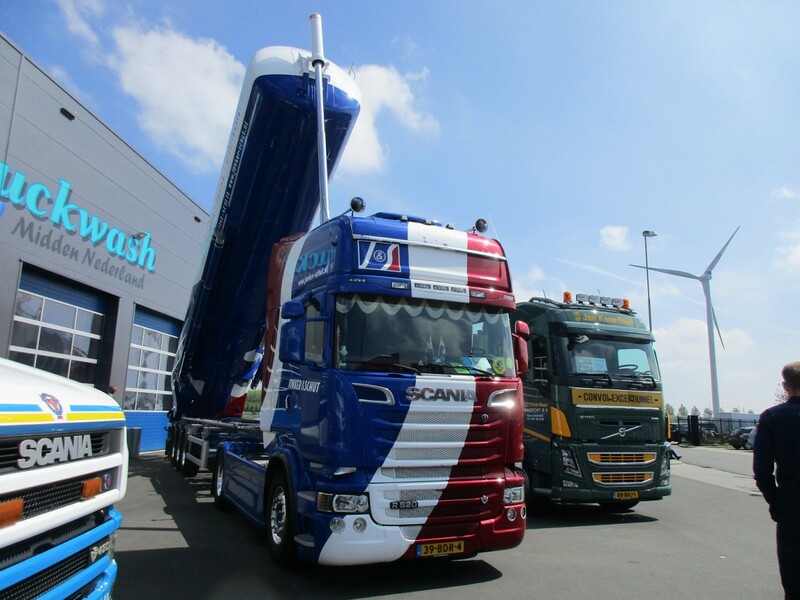 A bulk hauler pointing to the sky, the 2014 Scania R520 is fully in control. 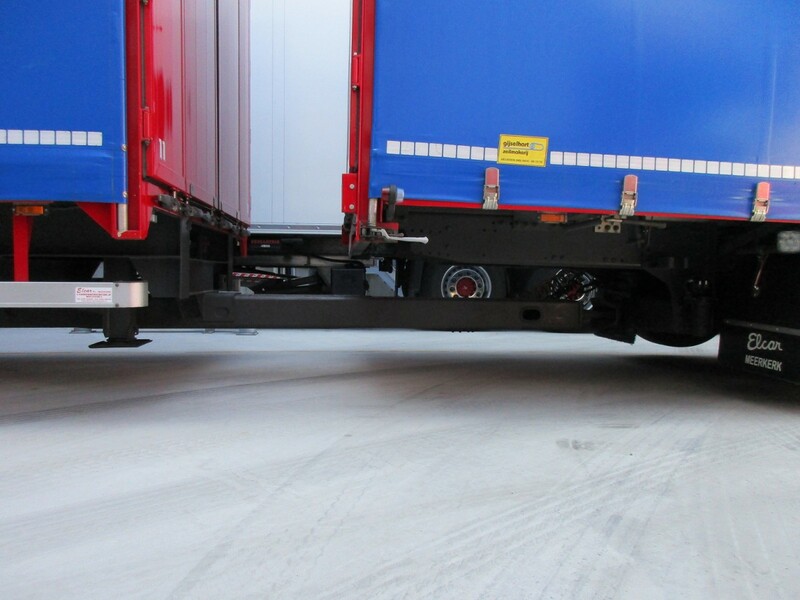 In this segment of 4×2 tractor units the legal maximum axle load of the drive axle is 11,500 kg (25,353 lbs). 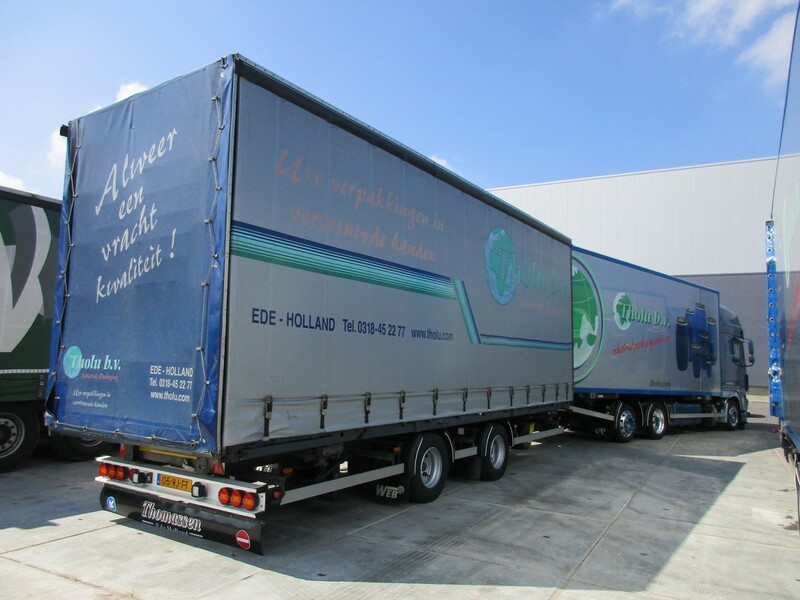 LAG from Belgium built the semi-trailer. 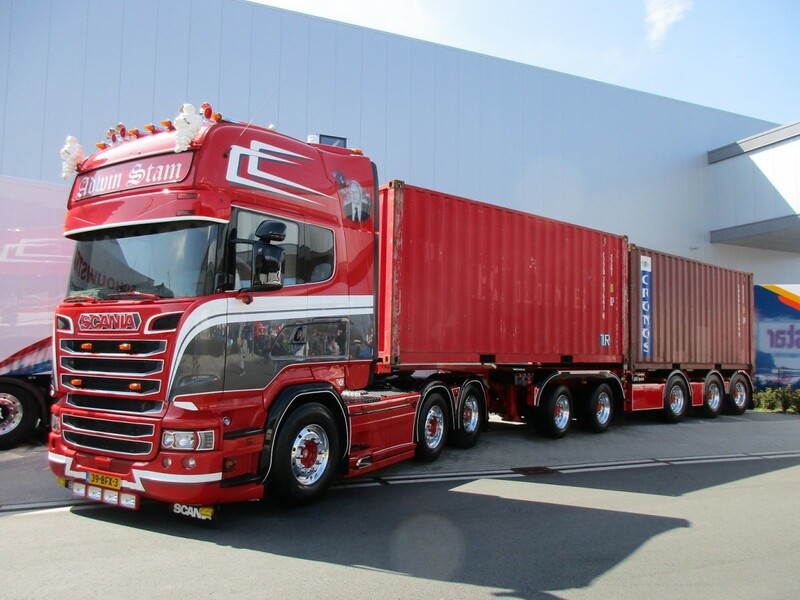 The last combination is a flower hauler, a 2012 MAN TGX 18.480 and 2012 ESVE semi-trailer. Next (and final) part: heavy-haulage and other special vehicles. Very impressive. I’m struck by the technology in the trailers, my impression over here is that a trailer is frame, a big box on it, and a couple of rear axles that can be moved (manually) for weight distribution purposes. And…that’s it, it’s only recently that rear under-rider guards have been added, as far as side protection, forget it. 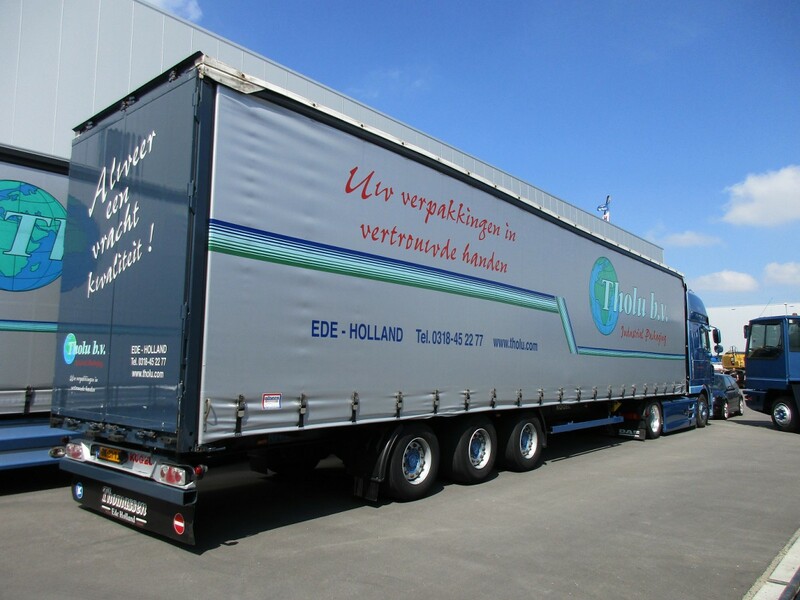 Of course there are specialty trailers, (flat, reefer etc) but not steerable axles, innovative loading solutions etc. that I am aware of. 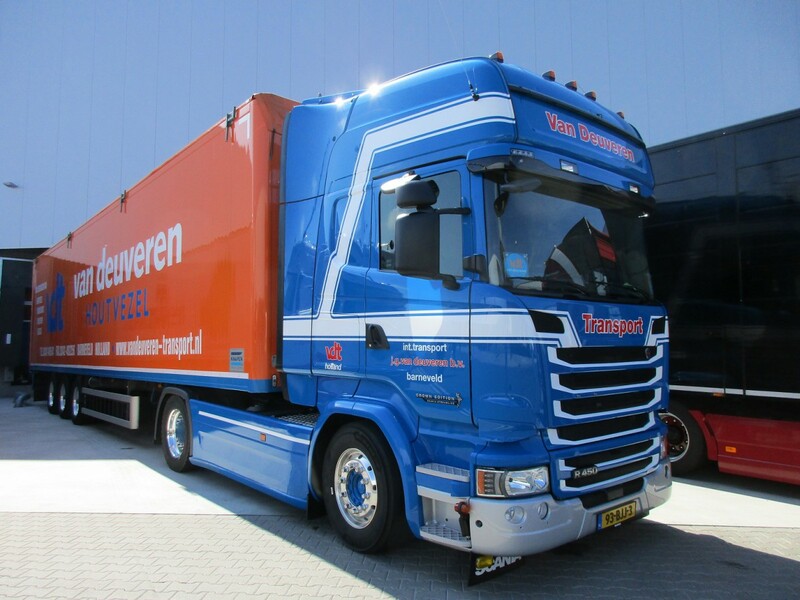 European truck/trailers always seem to “put together” and generally present a very impressive sight on a road. While certainly not the standard many triple axle trailers, typically “pup” dump trailers have self steering rear axles and drop axles are pretty common too. Walking floor trailers are also around and there are several mfgs in the US that build them. No exhaust stacks on any of the trucks. Are they illegal in the EU? Not illegal. Click on the link at the bottom of the article to Part One to see a few. Interesting how dominant cabovers are in Europe, a style that has become fairly rare here in the US. Shorter overall length regulations. Which was once the case in the US too, in the Eastern half or so of the country. Length regs drove truck makers to make very short cabs for the East Coast, as trailers got longer. But the West Coast always had very generous overall length regs, which meant a huge disparity in the rigs from the two halves of the country. In Europe, once a truck gets off the freeway, it may encounter older cities with very tight streets and corners, although big rigs there generally never operate in inner cities, unless absolutely necessary. But it has led to many creative solutions as these thrucks and their trailers show. As far as I know there’s no (new) COE Class 8 truck or tractor available anymore on the US market. Wasn’t the Freightliner Argosy the last one ? It’s still being offered on other markets though. Yes I believe Argosy was the last one a fair while ago now. I don’t care how necessary semi-trucks are, I don’t care how pretty they are, nor do I care what they look like in other countries, the fact is, I hate every single one of them when I’m on the road. This is a fascinating article. Perhaps I’m alone in spotting this, but I’m a little surprised at how much these trucks look alike in the front styling. They certainly all have a very big, wide and low hanging mouth (grille) because of the cooling capacity needed for the current Euro 6 emission standard engines. 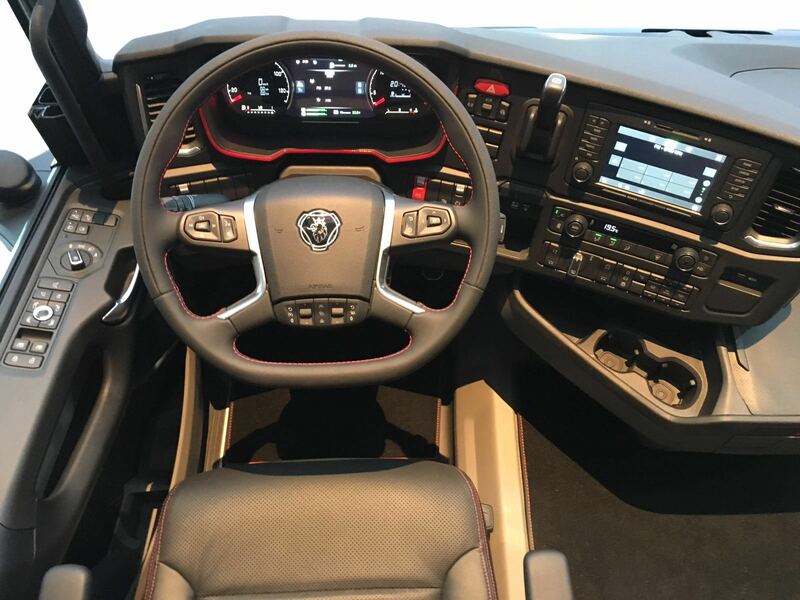 Johannes, Will they allow any interior photos, I would love to see the controls & road from the drivers viewpoint. Johannes, thanks so much. Having driven a ’39 GMC dump truck at a summer job in high school (inline 6 & a granny gear that was good for 2 mph) & a 38 foot 1998 Monaco diesel pusher RV for 8 years (Cat 3126, Allison world 6 speed transmission) I’m fascinated by changes & application of technology to the driving experience. Again thanks for the pictures & the original article. Was going into withdrawal. Thanks for the fix. Always a fan of the big rigs and the tech they bring into the game to keep up with government. Regarding “to keep up with the government”, there’s the national government on the one hand and the EU regulations on the other hand. 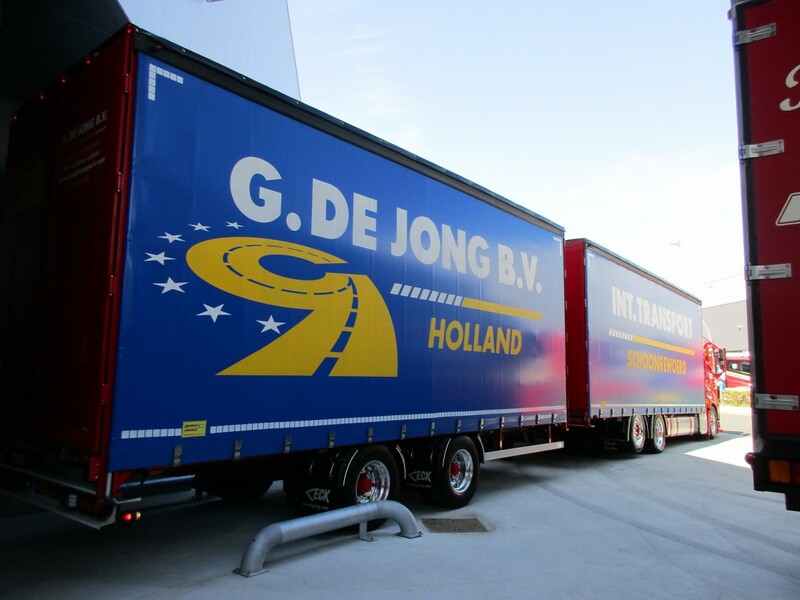 The Netherlands has always been a heavy truck-hugging country, other examples in the EU are Sweden and Finland. 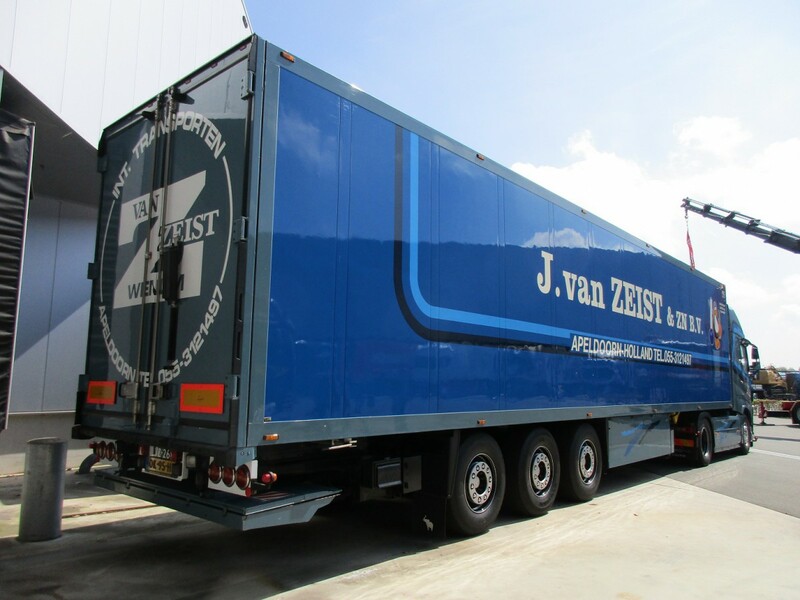 50 metric ton GVM for a standard rig and 60 metric ton GVM for the 25.25 m long LZV, aka Ecocombi, picture below (photo courtesy of Bolk Transport). Neither one of them are allowed in almost all other EU countries. Finding the perfect combination between high-efficiency and regulations, that’s the trick. 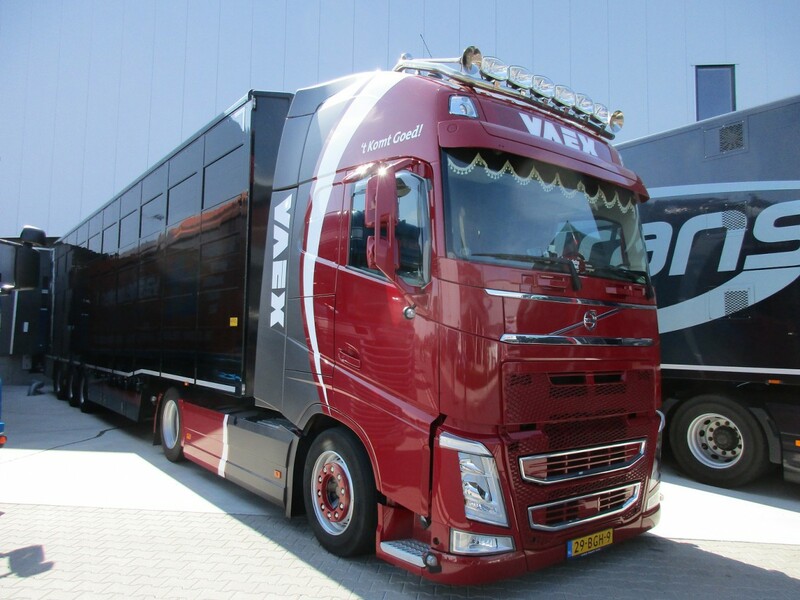 Of course something like the trailer front cargo doors (Volvo-Van Eck combination) is more about efficiency rather than regulations. We call those sliding tarpaulin truck/trailer bodies curtain siders the buckles are rated at 2 tonnes each powered curtains are on some setups as are air powered load restraints, most of those tractor units are operating here but not as single screw units, tandem drive is pretty much standard on class five rigs. 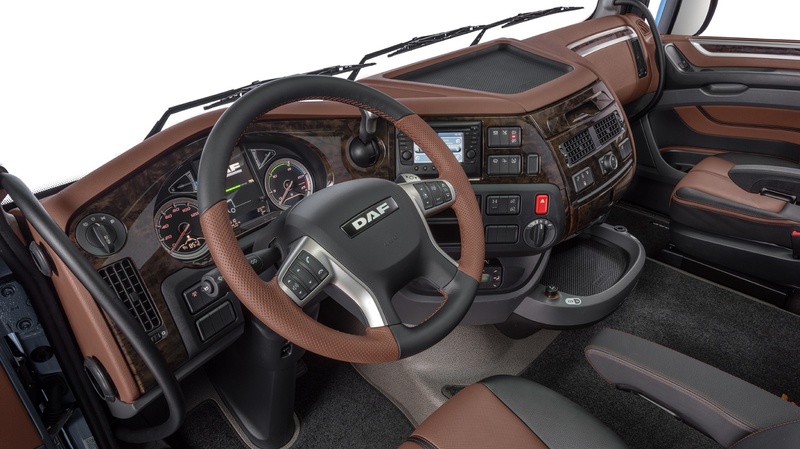 We also get Dafs with manual roadranger 18 speed gearboxes as well as the auto shift units, I also see none of those rigs have a trailer brake control seperate to the service brake, nobody has ever properly explained why that safety device is being deleted from modern trucks. 6×4 tractors are only used here in heavy haulage and on/off-road transport (earth moving, for example). Much more common, apart from the standard 4×2 tractor, is the liftable and steerable pusher axle with single wheels. 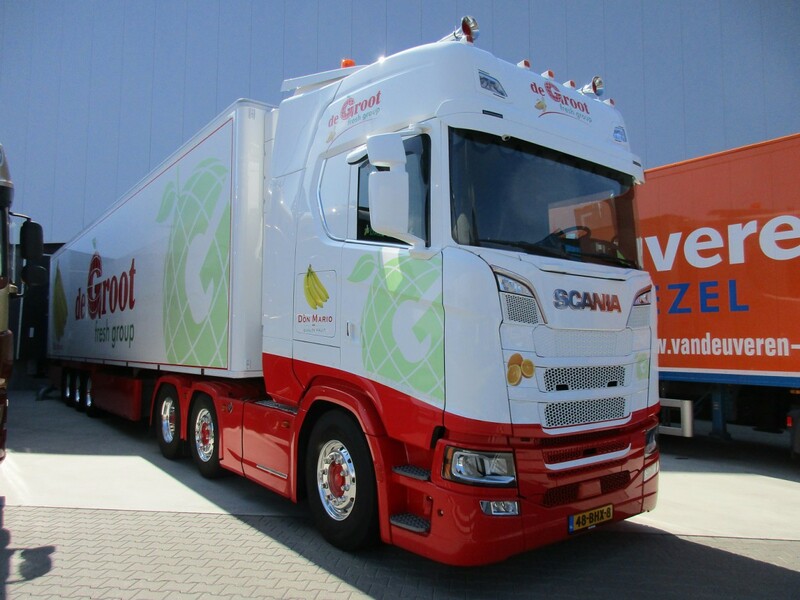 Example: the Groenenboom Scania in the second picture. The axle load is the same as a 6×4 or 6×2 with a liftable tag axle. 6×4 or 6×2: 9,500 + 9,500 = 19,000 kg. steerable pusher axle: 7,500 + 11,500 = 19,000 kg. Great looking trucks. Would love to hear that 16.4 litre engine.